Israel's UN Ambassador calls on Jewish people to unite against anti-Semitism, libels, and inappropriate Holocaust comparisons. The world comes together every Jan. 27 to remember the most devastating tragedy in history: the Shoah. We remember the victims of the Nazi regime. The loved ones lost and the shameful treatment of human life and human dignity. We also make sure to remember our history, as painful as it may be, so we learn from it and never let it repeat itself. Most of all, we remember the bravery of the survivors. Those brave souls who are slipping away from us as they implore the next generation to heed the lessons of this darkest of periods with two simple words: never again. Twelve years ago, the member states of the United Nations came together to pass a resolution establishing International Holocaust Remembrance Day. This important day serves as a reminder of the UN at its best, as it was meant to be. It serves as a beacon to our collective conscience reminding us all of the importance of preventing tragedies like this one and the grave consequences of failing to recognize the warning signs of hatred and bigotry. But simply remembering the Holocaust is not enough. If we fail to learn the correct lessons, then we lose sight of the magnitude and significance of the worst crime ever committed against humanity. If we are not careful, then we run the risk of allowing the Holocaust to be misappropriated or even cheapened. Recently, we have seen this happen all too often, including by member states of the U.N. Under the guise of human rights and tolerance, we are witnessing a growing phenomenon where Israel is subject time and again to false analogies which can only be blamed on hatred and intolerance. Two months ago the permanent representative of Ecuador stood in the General Assembly hall and unabashedly compared Zionism with Nazism. He compared the national movement of the Jewish people to the most vile and hate-filled movement the world has ever seen. The worst part of that episode was the silence during his hateful statement. The representatives of the world who were gathered in the hall sat and said nothing. They were silent and did not protest as the state of the Jewish people was singled out and libeled. 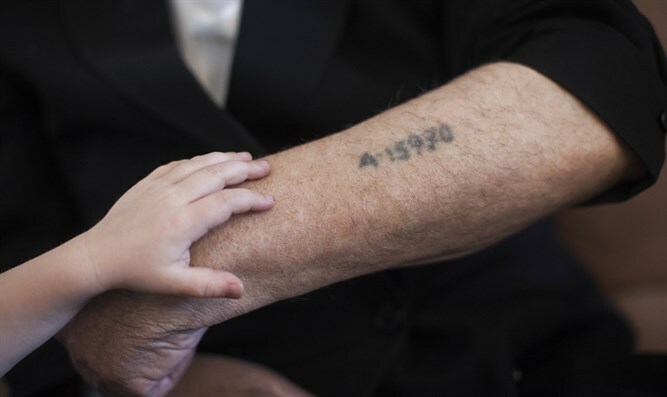 Sadly, this is not the only example of the misuse of the sacred memory of the Holocaust. During a meeting of the Security Council, the most powerful UN institution, the representative of Venezuela accused Israel of committing a "final solution" of the Palestinians. Thankfully, during that dark moment a number of our colleagues from around the world stood up and demanded a clear and immediate apology for such blatant anti-Semitism. This unfortunate phenomenon takes place within the official confines of the UN itself. An undersecretary general had the nerve to say Israel's existence as the world's sole Jewish state is equivalent to the crimes against humanity committed in the 20th century. And the UN remained silent. The over 400,000 annual visitors to UN headquarters learn about this darkest of periods in history at a special exhibit on the third floor of the building. After walking a few steps, these visitors are then invited to view an exhibit on the plight of the Palestinians. What lesson does this teach them? That the systematic murder of 6 million Jews can be compared to a conflict between two peoples? Last March, the ironically named Human Rights Council voted to create a database, a blacklist, of Jewish businesses operating in parts of Jerusalem and Israel. As during other periods of our history, dark forces wish to label our businesses, our livelihood, so we can be delegitimized and boycotted. Again, the UN is silent. When we come together as a people and a community, we can make a real difference. We have to be willing to call out those who would take advantage of the UN and the international community. It is important, however, to also note the progress which has been made. More and more political and religious leaders around the world are speaking out against anti-Semitism. We particularly appreciated the strong words of Secretary-General António Guterres condemning anti-Semitism when he spoke recently during a visit to a synagogue. This was a positive development, but the UN should build on such statements and take a leading role battling the rising tide of anti-Semitic incidents. This is why we have asked the secretary-general to appoint a special envoy who will oversee the UN's efforts to combat anti-Semitism. It is important we honor the memory of the Holocaust by making the world a better place, by pledging never to remain silent in the face of atrocities or human rights violations. We must, however, also make sure to cautiously weigh our words when comparing any events to what Winston Churchill correctly called "the greatest, most horrible crime ever committed in the whole history of the world." Upon assuming my post last year, one of my first meetings in New York was with Elie Wiesel, of blessed memory. He taught all of us so much. Personally, I will never forget how he implored me to always speak up when I witness injustice or wrongdoing at the UN. Elie was famous for saying “We must take sides. Neutrality helps the oppressor, never the victim. Silence encourages the tormentor never the tormented." Let us all pledge to heed these words of wisdom. Let us all have the courage to stand up when wrong is being committed around the world. Most important, let us never shy away from speaking the truth in the defense of the Jewish people and the Jewish state.